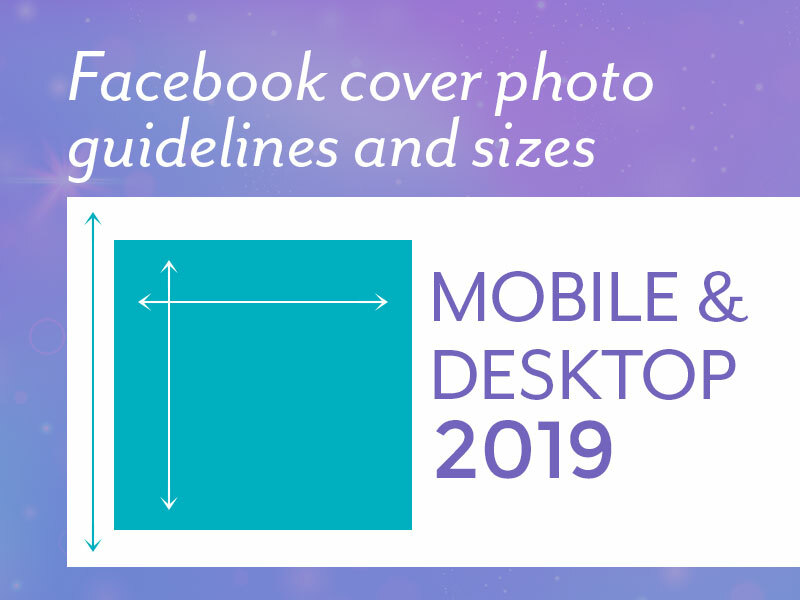 As of January 2019, according to Facebook, your cover photo displays at 820 pixels wide by 312 pixels tall on computers and 640 pixels wide by 360 pixels tall on smartphones. Beyond the size of the photo, there are also some restrictions that Facebook has put into place and that you should know about. This is pretty important and I think also most overlooked by small businesses that don’t necessarily go looking for all the fine print. third-party products, brands or sponsors. Covers must not be false, deceptive, misleading or infringe on anyone’s copyright. While there’s no 20% text rule anymore, you still want to keep things as visual as possible and keep the hard selling for someplace else. It may be tempting to put direct calls to action and arrows pointing to the buttons in the bottom right. Fight the urge because on mobile it’s never going to appear correctly. And new visitors to your brand are not yet ready to take action. Speaking about our mobile users, their experience is going to be different so try to incorporate a cover that works for both desktop and mobile. Is your brand consistent on social? This is one of the biggest issues we see with service businesses which is why we’ve created our signature Brand Canvas Method. We can help you align your message and brand identity in less than a week so you can start to get traction right away, not months from now.